If you’re looking to start a career in dental assisting, you’ve come to the right place. According to a US News report, dental assistants rank #17 in best health care support jobs. It also has 18% employment growth. 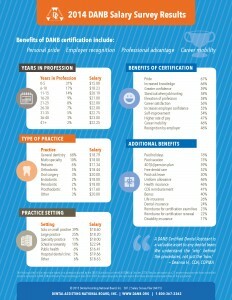 Dental assisting is more in demand than most professions. This will give you an easier time finding a job. Best of all, the dental assistant salary is pretty great. US News reports that salary averages $35,390 per year. 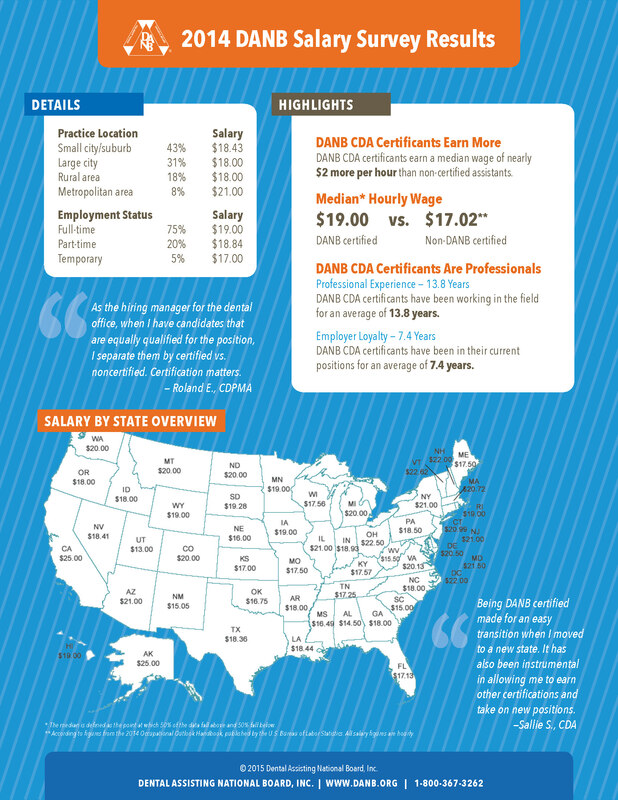 A survey performed by the Dental Assisting National Board revealed salaries. Results break down the average salaries by state. Arizona is one of the highest paying when it comes to dental assisting. You’re already in the right state. Now all you need is the training to become a dental assistant. Getting a great education is the first step to a great career. Having a steady job and income is important. Dental assisting is a great, stable career. The longer you work in the profession the higher your salary will become. On top of a great salary dental assistants also enjoy other perks. They have a job that isn’t high stress, offers extreme flexibility, and has major potential for growth and advancement. There are also several specialties and types of practices to choose from. So you can work in a specialty that interests you. 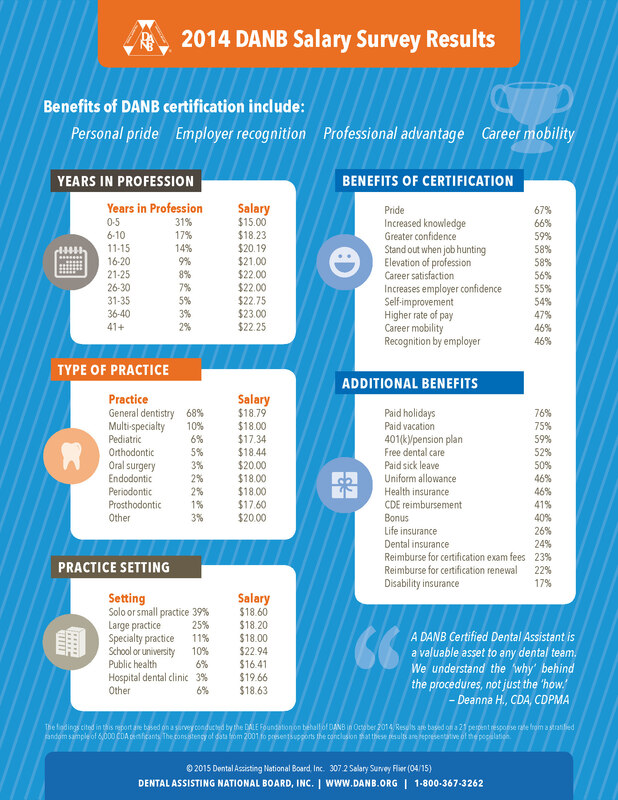 More than half of dental assistants also reported benefits like paid vacation and free dental care. And most reported being happy with their job. Dental assisting is a great career with a variety of benefits.With the American Institute of Dental Assisting you can get your training in as little as 13 weeks. In just a short time you’ll be on your way to a better career. A career that offers flexibility, stability, and confidence. In addition, the dental assistant salary is unique. It offers a great career with the compensation you deserve. Contact us today to get more answers to your questions. Call 480-209-1392 Now!